We gently clean your fine garments in GreenEarth solvent, which is a silicone based solvent made from liquefied sand. This same silicone is found in most household cosmetics such as shampoos, and lotions. We specialize in couture dry cleaning, and have the know how to properly clean your most precious and valuable garments that an ordinary cleaner may find challenging. 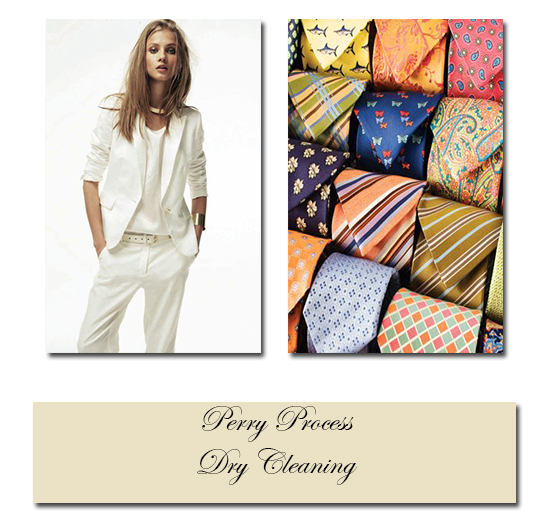 If you have garments of value, please trust as at Perry Process to ensure proper cleaning and return your fine garments in like new condition. We ship our dry cleaned garments anywhere in the World and have existing clients in over 13 Countries.